Rev. Andrea was a Morningside College graduate in 2000. She received her Masters of Divinity at Saint Paul School of Theology and she received her MDIV in 2005. 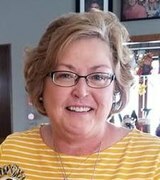 In 2009 she was ordained an Elder in the Iowa United Methodist Church. She came to Fort Dodge in 2012. Rev. Andrea has been married to Joshua Kraushaar for 16 years. They are blessed to have 2 children - Wesley who is 11 and Gracie who is 9. 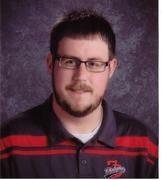 Brian Robison is currently serving as the director of orchestras (5th-12th grade) in the Fort Dodge Community School District. A native of the Cedar Rapids area, he holds a Bachelors degree of Music in Education from the University of Northern Iowa. His primary instrument is the double bass, but Brian enjoys playing and teaching most string instruments. Brian is thankful for the opportunities that living in Fort Dodge has brought him, including serving the First United Methodist Church as director of the Wesley Ringers bell choir and Guitarist for the Filling Station praise band. Mark W. McClellan began his study of the organ at the age of nine with Eva J. Wisner of Drake University in Des Moines, and Rev. 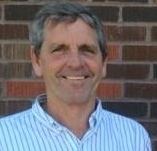 Paul R. Peters of Waterloo. He pursued further studies with Dr. Robert F. Triplett at Cornell College in Mt. Vernon, and with Dr. Carl Staplin at Drake University. He has given recitals throughout the United States and in Israel, Germany, France, Canada, Italy and Switzerland. 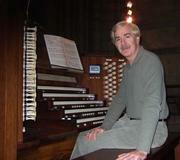 An avid enthusiast of the organ, McClellan is involved in the promotions of both United States and European music festivals.